Feeling the need for light and airy today. 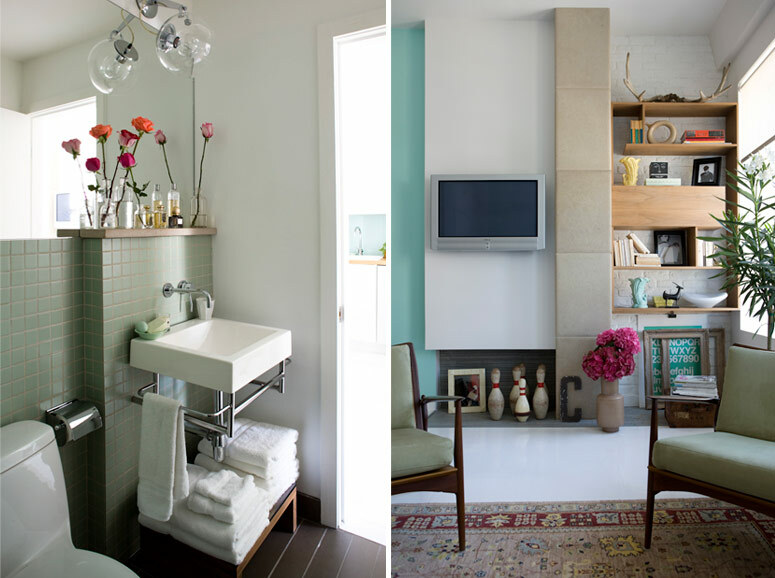 Loving these relaxed spaces and the lovely pops of color–especially the combination of the turquoise and orange. Calming and revitalizing all at once! 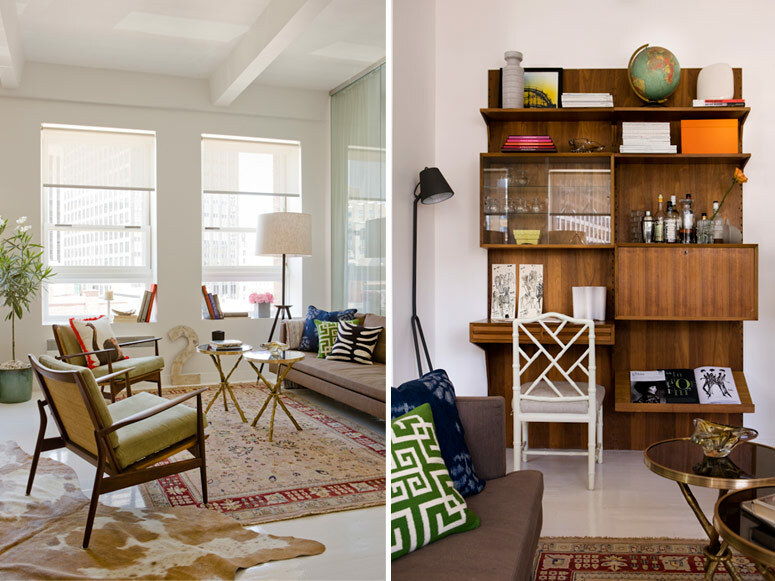 Discovered these amazing spaces by design duo Creative Flats via Pinterest via DesignTripper. Nathalie Bouchard and Annie Horth rent out high-end spaces in Montreal furnished and decorated with their own signature sense of style and elegance. 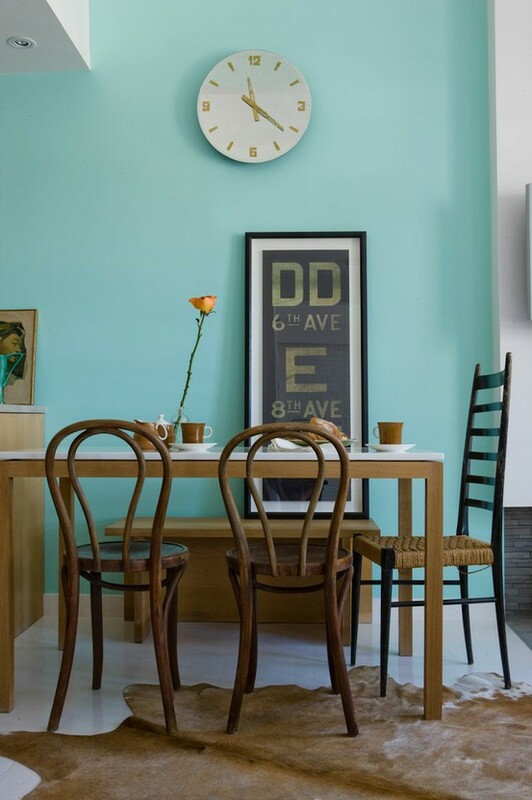 I love how the aqua wall gives this dining room an understated pop of color while still keeping everything clean and sophisticated. Foraged Design · Avid Internet Forager & Curator of the Fantastic, Magical, Beautiful, & Mundane!